A properly designed and maintained irrigation system is considerably more efficient than watering by hand or using a manual sprinkler. The following design, installation, and maintenance practices are essential in minimizing water waste and avoiding potable water contamination. To ensure your system is running to peak performance, we suggest either a Start-Up for our installed systems, or an Irrigation Audit for new customers. Reviewing the volume of each zone to ensure it is inline with the house/well capacity. Confirming your system is equipped with an approved backflow prevention device and is installed according to the plumbing code. This is a device which keeps the irrigation (non-potable) water from getting siphoned back into your (potable) home drinking water. Verifying that you have a rain shut off device (rain sensor) and that it is working. Checking that your sprinkler heads are spaced head-to-head, meaning that the end of one sprinkler head reaches the next sprinkler. This provides a nice even application rate across the entire area, and provides the most efficient watering possible. Reviewing that each sprinkler head has the correct nozzle depending upon the area it is covering, known as matched precipitation. This is critical in having an efficient and evenly watered property. Adjusting sprinkler heads to minimize water onto roads, walks, and other similarly wasted areas. Calculating your watering schedule to irrigate based upon need, not ease. For many, having an irrigation system means it is easy to water, so why not water once or even twice daily. This promotes shallow rooted plants, making them more susceptible to drought, and wastes water. Watering fewer times weekly, with longer run times, is a more beneficial approach. Seasonally adjusting your irrigation controller schedule to water sparingly in April and May, September and October (if any), concentrating your watering in the months of June, July, and August when the evaporation exceeds the normal rainfall (summer of 2009 excluded!). Most controllers have a seasonal adjusting feature which would allow you quite easily to increase the entire system’s run time as a percentage of the predetermined schedule. Cleaning and/or replacing filters where necessary. Analyzing whether you would benefit from new water-saving technologies or improvements to any of the above, and then providing you with a cost-analysis with which to identify a water/dollar savings gained from said revisions. 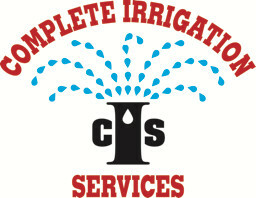 ASK US ABOUT AN IRRIGATION AUDIT AT YOUR PROPERTY TODAY!